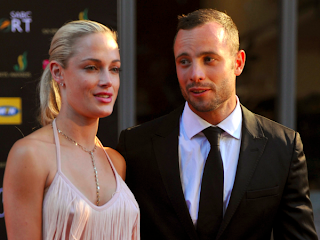 Abuja Events and Places (AEP): Oscar Pistorius' OJ-style trial of the century? 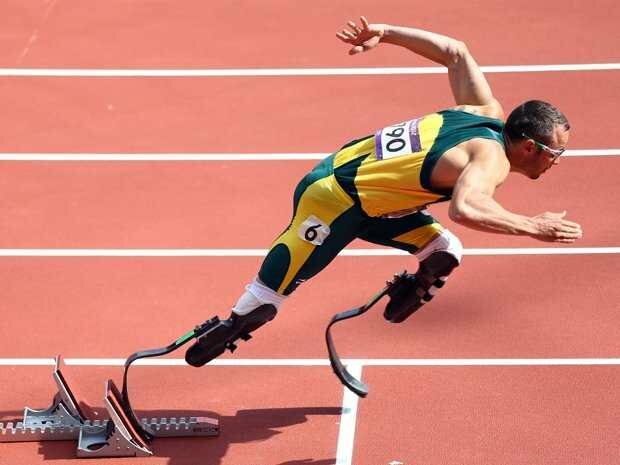 PARALYMPIC star Oscar Pistorius was charged with murder after reportedly shooting his girlfriend dead having mistakenly thought she was a burglar. According to reports, the South African hero, 26, shot Reeva Steenkamp, 30, in the head and arm at 4am Valentine morning. There was speculation the shooting may have been a Valentine's Day surprise gone bad at the property in the Silver Woods Country Estate in Pretoria. My take: if you want to surprise a handycapable, please please make sure he/she doesn't have a gun in the house or at least use the door! I do not think he murdered his girlfriend, there is no indication that they were fighting or that they have issues. 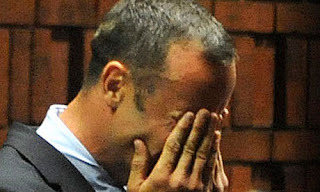 But from the look of things, i think the guy is Not guilty........................ What do you think? I really didnt know anything about him until Val's day. Guilty joor! Why should he have a gun in his house??????? I still think that he is innocent, personal opinion though. These are the people out there to make the examples for those who had been thinking that they are worth of nothing. It sure is an inspiration for us to read and using them in life. He has been an inspiration for those who had been trying to get on their way to the success. Sometimes I am taking these types of things really seriously for the better results. This page basically gives you information about different events that held in different parts of country. Here on the given page you will read some detailed information of upcoming assignment help events and if you are interested then you can join them easily. details so much information about different artists. article. I've really like your blog and inspire me in many ways We have already set a high standard for coursework help. We are proud of our best assignment help experts because of their dedication towards providing continuous support to students by helping them meet deadlines and scoring better grades. Hiring an expert to write your work is easy but hiring the RIGHT expert to get it done is a challenge. This is because there are a multitude of online academic help services and picking the best is always going to be a trial and error method. However, My Assignment Services is a well-established and prominent name in providing high-quality Australian assignment help to students since almost a decade. Java which was initially criticized for its slow speed has become even faster than C. nd with its increasing awareness, providing the best Java assignment help to our students became the first priority of My Assignment Services. I really happy found this website eventually.. Really informative and inspiration ! !Thanks for the post and effort ! our website Cheap Assignment Help in Australia. My name is Michael Smith and thanks for sharing this post with us.